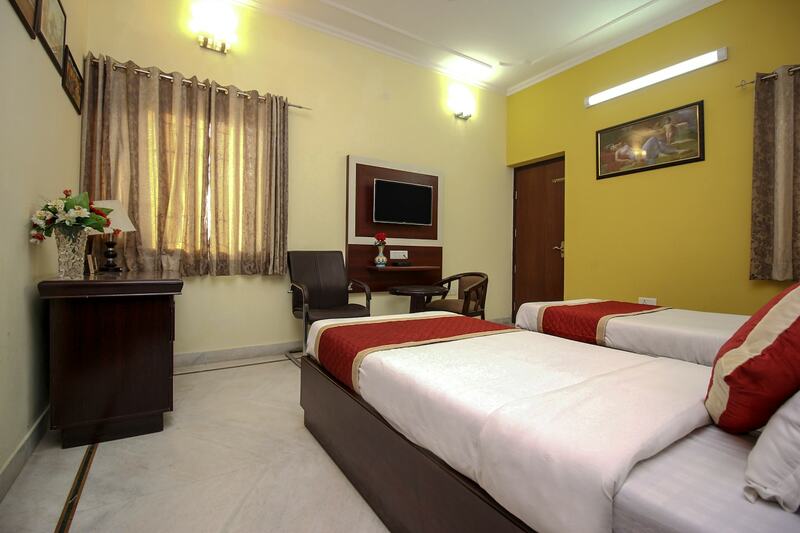 Simple and sweet, Jaipur Homestays is a pocket-friendly and comfortable hotel in the city. Designed with a minimalistic touch, the hotel is warm, cozy and comfortable. The rooms are spacious, super-clean, and well-equipped with basic amenities including hair dryer and geyser. The walls are painted with pastel tones and decorated with beautiful paintings. The in-house restaurant here offer lip-smacking treats for guests. The wooden panelling and a window are delightful additions to the room. There is a nice seating area where you can hang-out with your friends and family members. Guests can stay in touch with the world via free internet services. The hotel also has parking facility and dining area.